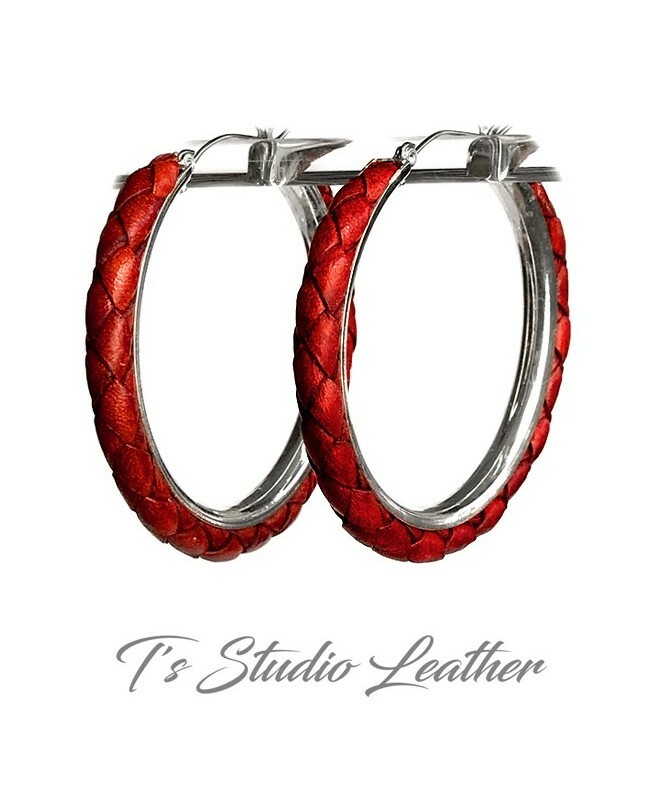 Fun and chic with a western flair, these hoop earrings are made with red braided leather, on silver hoops. Earrings are available in a variety of colors. Custom orders are gladly accepted, if you have something specific in mind, please contact us.